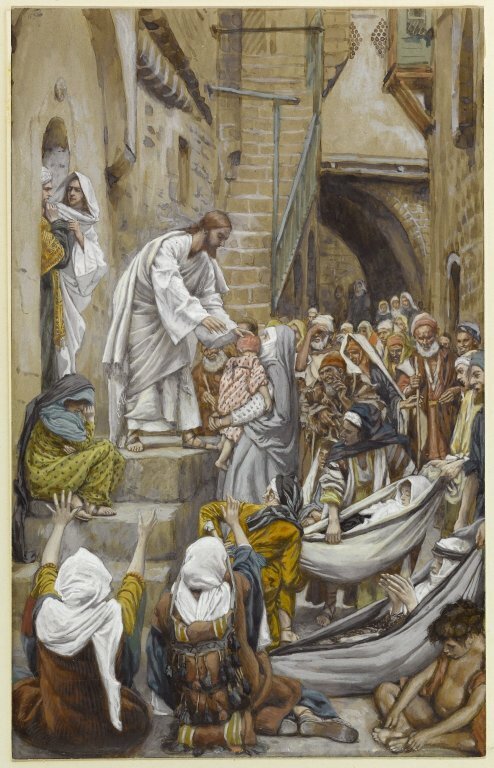 20 Jesus went back home, and once again such a large crowd gathered that there was no chance even to eat. 21 When Jesus’ family heard what he was doing, they thought he was crazy and went to get him under control. How can Satan force himself out? 24 A nation whose people fight each other won’t last very long. 25 And a family that fights won’t last long either. 26 So if Satan fights against himself, that will be the end of him. 27 How can anyone break into the house of a strong man and steal his things, unless he first ties up the strong man? Then he can take everything. 28 I promise you that any of the sinful things you say or do can be forgiven, no matter how terrible those things are. 29 But if you speak against the Holy Spirit, you can never be forgiven. That sin will be held against you forever. 30 Jesus said this because the people were saying that he had an evil spirit in him. I love this! I thought it was super interesting and well thought out! I am just starting out on wordpress, and I keep a colloquial blog with ranging themes. I would love if you could take the time to read it! Again, Bravo!